Former Whitman County Judge, Wally Friel, is pictured playing the trombone. Friel, a longtime Pullman resident and nearly 50-year member of the Snake River Six band died at the age of 86 on Monday in Pullman. 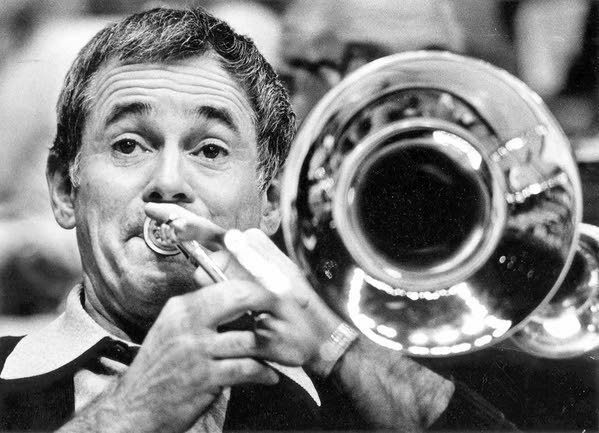 Wallis “Wally” Friel, a prominent member of the Pullman community who served as a Superior Court judge and a trombone player in a popular local band, died Monday at the Good Hope Adult Family Home in Pullman. He was 86 years old. Elected in 1989, Friel was known to be a judge who spoke his mind and who did not censor what he said. Whitman County District Court Judge Doug Robinson said Friel was a “colorful guy” who may have been tough, but he also had a soft side. “He was always regarded as fair,” Robinson said. Robinson said Friel took the bench the same year he became the first public defender for Whitman County. “So I was in front of him very regularly,” Robinson said with a laugh. Friel’s passion, however, was in music. Jeanne McHale, who performed alongside Friel as a member of the Pullman-based Snake River Six band, said it was his life. He was a member of the Snake River Six for nearly 50 years, and he was also a founding member of the Pullman Community Band. McHale said getting to play with Friel was one of the greatest privileges of her life. Snake River Six saxophone player Don Peters said The DownBeat Magazine called the Snake River Six the “oldest continually playing jazz band west of the Mississippi” and Friel was very proud of that fact. Peters said he first met Friel in the 1970s and their families quickly grew close. “He would play with anyone, anywhere, for whatever reason – he loved music,” Peters said. Friel, born in Pullman, was always a Cougar fan. He attended Pullman High School and later Washington State University, where he played in the marching band. His father coached the Washington State College basketball team from 1928 to 1958. In 1977, the court in Beasley Coliseum was named in his honor. His Cougar roots can be seen a picture taken in 1944, when Friel was 13, in which Friel can be seen testing the first hollow aluminum bat, developed at WSU, for the baseball team. McHale said members of the Snake River Six often teased Friel since he always wanted to play the Cougar fight song. But his favorite song of all time was Irving Berlin’s “Alexander’s Ragtime Band,” Peters said. Denise Snider, an undergraduate adviser and instructor at WSU who replaced Friel in the Snake River Six when he retired from the band in 2014, said a musical tribute for Friel will be held Dec. 12 during a Christmas concert at the Domey Auditorium at the Gladish Community and Cultural Center in Pullman. Wallis W. Friel, 86, husband, father, grandfather, judge, teacher, mentor, musician and sports fan passed away Oct. 24, 2017, at the Good Hope Adult Family Home in Pullman. Wally was born June 4, 1931, in Colfax to John B. (Jack) and Catherine (Mathews) Friel. As a young boy growing up in Pullman he delivered newspapers, washed store windows and polished shoes for the soldiers brought to the Washington State College campus at the beginning of World War II. He attended school in Pullman, and following high school graduation he earned his Bachelor of Science degree in political science from WSU as a Kappa Sigma, later serving as an Advisor to the Kappa Sigma chapter. As a lifelong baseball fan, he formed the Friels Eels, played on the Colton Town team, played for Washington State college during his freshman year and coached the Idaho freshman team. He rounded out his baseball career with years of coaching Little League in Pullman. 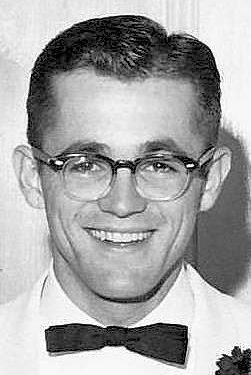 Wally went on to the University of Idaho Law School, earning his LLD in 1956. He married his college sweetheart, Sue Claudette Bennett, on Aug. 28, 1954, at the Methodist Church on Lake Chelan in Manson, Wash., going on to raise their four children in Pullman. He practiced law in Quincy, Wash., in the Huse and Baird Office from 1956 to 1959, then returned to Pullman to join Claude K. Irwin, forming Irwin and Friel, then later expanding to Irwin, Friel and Myklebust. He practiced law for 31 years and enjoyed teaching business law at WSU for 25 years, taking special pride in educating young people at all levels. 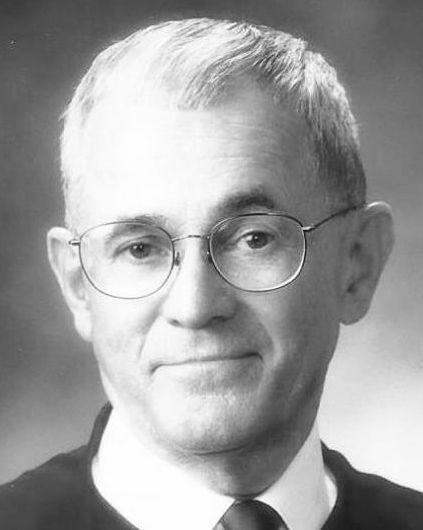 Wally was appointed Superior Court judge of Whitman County in 1987. Following his election in the fall of 1987, Judge Friel served for 11 plus years. Wally had a special love of music and was an accomplished trombone player. He served as president of the Community Band Association and was a well-known member of the Dixie-land style band, the Snake River Six, for 41 years. The band played at the Colfax Ice Cream Social for 40 years. Wally also played in the Two Old Brass Guys band entertaining all around the county as well as participating in a German band, Auf Gehts. Many will remember him for his music, honesty, integrity and being a man of great character. In retirement, Wally did mediation and arbitration work as well as performing weddings, always playing a love song on the trombone for the bride and groom. He especially enjoyed time spent at the family home on Priest Lake. He would often be found serenading the lake with his trombone and would always play any special request for neighbors and boaters passing by in the bay. He was an avid sports fan who attended all of the WSU football and basketball games through the years. Even on bone chilling days in negative-10 degree temperatures, you could find him cheering in the stands. If not in the stands, Wally could be found on the field or court, refereeing high school football and basketball for 30 years. Devoted to community, Wally was a member of the Pullman Chamber of Commerce, which honored him in 2013 with a square on the downtown Walk of Fame, joining his father and grandfather who are also on the Walk of Fame. Wally was a member of the Moscow Elks Lodge, serving as exalted ruler in 1967 and 1968. He is survived by his wife of 63 years, Sue, at the family home in Pullman; his four sons, John, Bryan, Terrance and Patrick Friel; his grandchildren, Marcie Friel Glenn, Bennett, Alyssa and Timmon Friel; two great-grandchildren, Masyn and Ella Glenn; and a sister, Janette Friel, retired DVM. Wally was preceded in death by his parents, sister Charlotte and brother John. A celebration of life will be held at 3 p.m. Thursday, Nov. 9, 2017, at Banyans on the Ridge Pavilion in Pullman. Wally will be laid to rest at the IOOF Cemetery in Pullman. Kimball Funeral Home of Pullman, Wash., has been entrusted with arrangements. Memorial donations are suggested to the Community Band of the Palouse, PO Box 1196, Pullman, WA 99163. Online condolences may be sent to www.kimballfh.com.